Industry Research and User Symposium (IRUS) brings together solution providers and users of HPC, cloud and data platforms, providing a venue where they can share their challenges and successes and discuss relevant technology issues related to computational and data sciences. Previous IRUS sessions (2017, 2016 links) had tremendous participation from conference attendees and included senior speakers from the industry like Amazon, Flipkart, Intel, Microsoft, Shell and Xilinx and academia like CERN, IISC and TIFR. Date and Time: December 17th, 2018: 2:00 PM – 4:00 PM. Speaker Bio: Rajkumar Kettimuthu received the B.E. degree from Anna University, Chennai, India, and an M.S. and Ph. D. from the Ohio State University, all in Computer Science and Engineering. He is a Computer Scientist in the Data Science and Learning Division at Argonne National Laboratory. He is also a Senior Scientist in the Consortium for Advanced Science and Engineering at The University of Chicago. His research is focused on advancing distributed data intensive science through innovations and intelligence in networks, system software and applications. Wide area data transfer solution developed by him and his colleagues at Argonne has become the de facto method for file transfers in many science environments. With more than 60000 installations in six continents, their tool performs more than 50 million file transfers and move more than 5 Petabytes of data every day. Currently, he and his colleagues are working on incorporating learning and intelligence into both the science HPC infrastructure and the science workflows. He has co-authored more than 100 peer-reviewed articles many of which appeared in premier journals and conferences in computer science. He is a recipient of the prestigious R&D 100 award. He is a distinguished member of ACM and a senior member of IEEE. Talk Abstract: Rajkumar Kettimuthu received the B.E. degree from Anna University, Chennai, India, and an M.S. and Ph. D. from the Ohio State University, all in Computer Science and Engineering. He is a Computer Scientist in the Data Science and Learning Division at Argonne National Laboratory. He is also a Senior Scientist in the Consortium for Advanced Science and Engineering at The University of Chicago. His research is focused on advancing distributed data intensive science through innovations and intelligence in networks, system software and applications. Wide area data transfer solution developed by him and his colleagues at Argonne has become the de facto method for file transfers in many science environments. With more than 60000 installations in six continents, their tool performs more than 50 million file transfers and move more than 5 Petabytes of data every day. Currently, he and his colleagues are working on incorporating learning and intelligence into both the science HPC infrastructure and the science workflows. He has co-authored more than 100 peer-reviewed articles many of which appeared in premier journals and conferences in computer science. He is a recipient of the prestigious R&D 100 award. He is a distinguished member of ACM and a senior member of IEEE. Speaker Bio: Jeff is a HPC specialist with over 25 years of experience in developing, tuning and porting scientific codes and architecting HPC solutions. Jeff’s primary area of expertise is in CFD and NWP, having previously worked at the New Zealand Oceanographic Institute (now NIWA), Toyota Motor Corporation, and on FEA/CFD analysis for America’s cup class yachts for Team New Zealand. Prior to joining Nvidia, Jeff worked for SGI for 16 years in Asia, Before that, he worked for various Post Production companies in his native New Zealand as a Visual Effects artist, technical director, and software development roles. Jeff holds a post graduate diploma from the University of Auckland in Computer Science, specializing in Parallel programming and Computer graphics. Talk Abstract: Learn about how AI is helping to find anomaly detection in climate change. You will see case study on how neural networks has helped getting better detection accuracy over traditional methods. Speaker Bio: PhD student at CSIR-Institute of Genomics and Integrative Biology, New Delhi. I closely work with clinicians at AIIMS, New Delhi, for my PhD work on “critical event prediction in in-patient and out-patient pediatric healthcare”. I have published 5 peer reviewed papers in the field of computational medicine and healthcare informatics. I also have developed an android app “AnthroCal” for child growth assessment for AIIMS New Delhi. I am a recipient of CSIR-GATE fellowship for my PhD work. Previously I received Xerox International Travel Grant for representing my work on prediction of asthma exacerbation in children at European Association of systems medicine conference. Apart from the work, I enjoy playing Table Tennis, chess & science philosophy discussions over the tea table. Talk Abstract: Critical events are the stages which lead to potentially irreversible outcomes such as organ dysfunction and mortality in the patients admitted to Intensive care unit of a hospital. Every hour of delay in treatment is associated with the increased risk of mortality. Shock and Sepsis are the two such most common complications in ICU, accounting for almost 30% incidence and 20 to 30% of all hospital mortality. Early prediction can enable timely treatment decision by clinical management thus, prevents the future risk of mortality and improves the patient care. The prediction of these events involves identification of early pattern in the patient data which can predict before a window of time in which interventions can play their role. For the prediction of shock, we developed an automated pipeline which captures the body temperature gradients to predict the hemodynamic shock and circulatory failures. Secondly for the prediction of sepsis, we utilised the patient physiological markers, captured as time-series. We generated a 3 hour early prediction sepsis cohort of multivariate time-series from 2168 patients; identified using sequential organ dysfunction assessment scores (SOFA scores). We then learnt the time-series image representation using Hilbert space filling curve which is a form of a fractal space filling curves on this cohort. Finally we used the time-series image representation for early prediction using convolutional neural networks. We used various state-of-art deep-learning architectures such as Very Deep Convolutional Neural Network and Inception-ResNet Models for the prediction of sepsis at 3 hour prior to its onset. Speaker Bio: Yang Juntao is currently working as a Solution Architect at Nvidia. He did his MSc from National University of Singapore. His focus areas include looking at Convergence of HPC with AI. Talk Abstract: Recent advancements in the field of Artificial Intelligence, particularly in the area of Deep Learning have left many traditional users of HPC somewhat unsure what benefits this might bring to their particular domain. What, for example, does the ability to identify members of felis catus from a selection of uploaded images on Facebook have to do with modeling the oceans of the world, or discovering how two molecules interact? This paper is designed to bridge the gap by identifying the state-of-the-art methodologies and use cases for applying AI to a range of computational science domains. Date and Time: December 19th, 2018: 10:00 AM – 12:00 Noon. The theme for this year’s IRUS is the impact of Computational and Data Science technologies on emerging Digital Economy. The session will contain 3 speakers who will talk about their venture, their technology platform and approach from a business idea to a product/platform. The speakers will come from established as well as emerging players who are playing a key role in transforming the society such as democratizing financial sector using large scale citizen database, bringing affordable healthcare from remote diagnosis as well as insights from a technology vendor whose rapid advances often underpin such path-breaking applications. Laks Raghupathi is a data analytics leader delivering value from globally diverse, high-performing teams leveraging advanced analytics insights and digital platforms. Laks currently works as Analytics Manager in Shell Downstream’s global lubricants supply chain business. He has developed and deployed business-critical analytics for Shell Upstream to predict extreme storm exposure to offshore platforms and Siemens Healthcare in computer-aided diagnosis – both of which were also widely published. He holds a PhD in Applied Math and Computer Science. 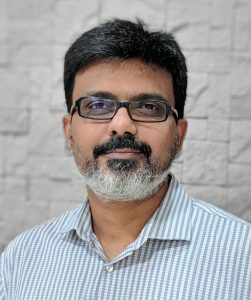 Srikanth is a technologist and entrepreneur with 27 years’ experience in the CPU design, Healthcare, eGovernance, National ID, Banking and Payment sectors. Srikanth spent 14 years with several global companies in California. He started as a CPU designer at Sun Microsystems followed by work at Intel on the development of P6 and P7 CPUs. This was followed by the interactiveTV project at Silicon Graphics. He was director engineering at Jim Clark’s WebMD – a healthcare internet startup in Palo Alto California. Srikanth moved back to India in 2002 to focus on initiatives with large scale developmental impact. He co-founded the eGovernments Foundation with Nandan Nilekani which has developed Municipal ERP suite that is deployed in over 400 cities. He worked with Nandan Nilekani on the Aadhaar project as head the technology team for the UID Authority of India since its inception in 2009 and created the UID Technology Center in Bangalore. In 2012 he partnered with Vinod Khosla to create Khosla Labs a startup incubator based in Bangalore. He is the Chairman of Novopay solutions a Khosla Labs company that focuses on mobile payments and banking solutions. He is also Chairman of Aadhaar Bridge a the provides IndiaStack digital service APIs to enterprises. He is also a director on the board of HDFC Bank. K.Chandrasekhar (KC) is the Founder & CEO of Forus Health Pvt. Ltd. Forus Health is working on the mission of eradicating preventable blindness using technology. Forus flagship product 3nethra, a screening device for common eye problems like cataract, diabetic retina, refractive problems, corneal infections, and glaucoma is already being field deployed in more than 2200 locations across 26 countries. Today Forus Health has over 5 products in the ophthalmology space. Its digital imaging and cloud-based portal enable an easy interface to Telemedicine, remote diagnostics/ work flows and easy access to historical data. More details can be found on www.forushealth.com. Forus Health has received over 13M $ funding from Marque investors Accel Partners, IDG Ventures & Asian Health Fund. Prior to founding Forus Health, KC was the Director of Strategy & Software Partnerships at NXP (Philips) Semiconductors. KC has 25+ years of experience in Business Strategy, Business Development, Product Management, Sales Management in leading Semiconductor and Software Companies. Title: Architectural considerations in building CHaiDNN (a state-of-the-art Deep-Learning inference accelerator for Zynq and MPSoC FPGAs). 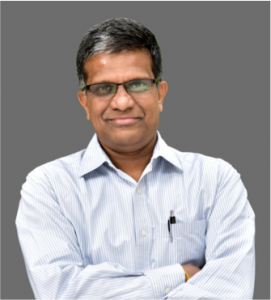 Kumar Vemuri heads the Embedded Vision and Machine Learning accelerator IP group (Worldwide) at Xilinx. He is in charge of the architecture and engineering of Xilinx xfOpenCV, a library of Computer Vision accelerator IPs for Xilinx FPGAs, and also the Chief Architect of CHaiDNN, an HLS-based state-of-the-art Deep Learning inference accelerator IP for Xilinx Zynq UltraScale devices. 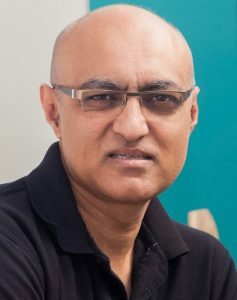 With around 19 years of experience in the Semiconductor industry, Kumar, prior to Xilinx, was part of the founding team at ThinCI (an AI hardware startup). At ThinCI, as a Chief Scientist and Director of Hardware Engineering, Kumar was responsible for the Architecture and Design of around one-third of the first-generation programmable core of ThinCI from ground-up. He was also responsible for scaling the team at ThinCI to around 50 engineers on Hardware and Software engineering. Before ThinCI, he was with Intel’s Graphics Hardware Architecture Group, where he was in-charge of the Micro-Architecture and Engineering of five generations of programmable cores (till Skylake) used in the Intel Integrated Graphics Cores. 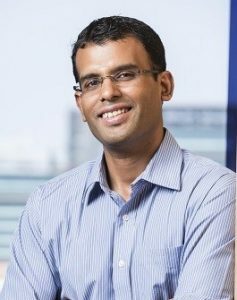 Kumar’s core area of expertise is in building highly-parallel, multi-threaded, Ultra-Low-Power SIMD programmable cores for visual computing.